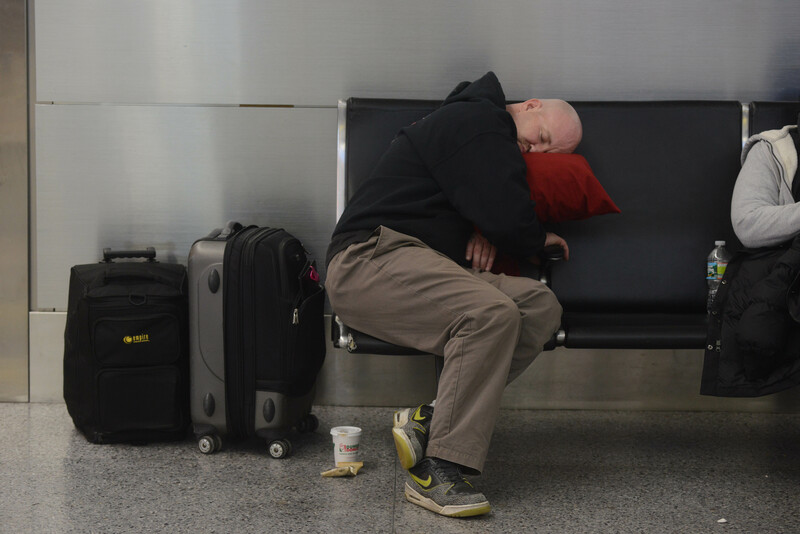 Here's some good news to remember the next time you enter your eighth hour of snow-induced flight delays and your only bed is the airport floor: A new study finds that 'placebo sleep' —aka merely believing you got enough sleep last night (you didn't) — could improve your performance and make you feel more rested. While this news is unlikely to stave off coffee addictions, it could make getting up in the morning a little bit easier. We feel (almost) better already. The study largely consisted of researchers at Colorado College telling the undergraduate subjects — an excellent choice when it comes to sleep deprivation — a series of little science fibs. Students rated how well they slept the night before on a scale of 1 to 10, before researchers gave them "background information" for the study — a short lesson on how sleep effects cognitive function. Subjects were told that 20 to 25 percent of adults' sleep time consists of REM sleep, and that the lower the rate of REM, the worse the performance on learning tests. Those with a higher percentage of REM sleep get better test results, researchers told them. Hooked up to equipment that students were told was measuring their pulse, heart rate, brainwave frequency, and how much REM sleep they had the night before (it was only measuring brainwave frequency), some subjects were told they got 16.2 percent REM sleep and others were told they got 28.7 percent. Cruel? Nah, it's science. Undergrads who were told they got more sleep showed better results on a speed test called the Paced Auditory Serial Addition Test (PASAT), which tests the ability to to add together numbers, and a test called the Controlled Oral Word Association Task, a verbal fluency test (both of which sound absolutely horrendous after a night of disrupted sleep). Those who were told they got a bad night's sleep didn't do as well. But according to Popular Science, when students stopped listening to the scientists and reported how they felt they slept, those who believed they slept better didn't always do better than those who felt groggy.